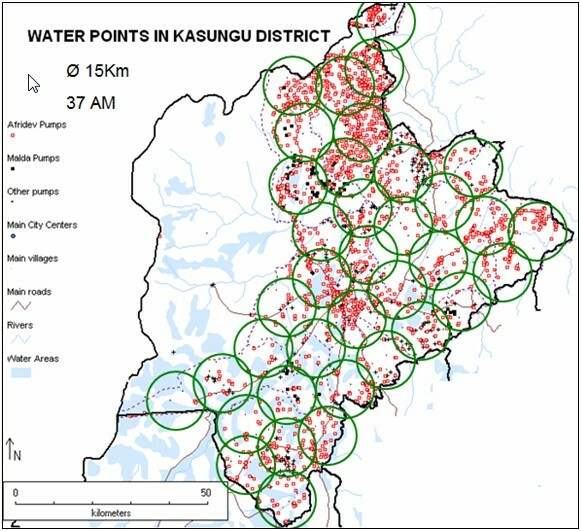 Kasungu district is the biggest district manage by the Tikonze Mjigo project in central region (140 km from North to South and 115 km from East to West). According to UNICEF datas from December 2009, we find here 2106 Afridev handpumps. The number of Area Mechanics which is necessary is about 37 (areas above are 15 km diameter, and contain about 75 Afridev).